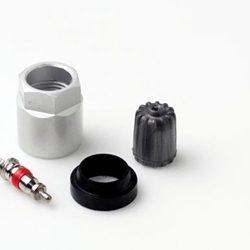 TPMS Aftermarket Service Kits for Hummer H3 , GMC and Isuzu BOWES TV 20006AK. As of Sept. 1, 2007, all vehicles under 10,000 lbs. GVW, excluding motorcycles andlight duty trucks with dual wheels on an axle, are equipped with Tire Pressure MonitoringSystems (TPMS) which must be serviced when tire and wheel service is performed.From diagnostic tools and sensors, to replacement parts kits and accessories,we are able to meet all of your TPMS needs.